In this article, we will tell you how Arduino can be used to get temperature data from LM35 to show on your computer via a serial connection. After connecting LM-35 with Arduino as shown above. 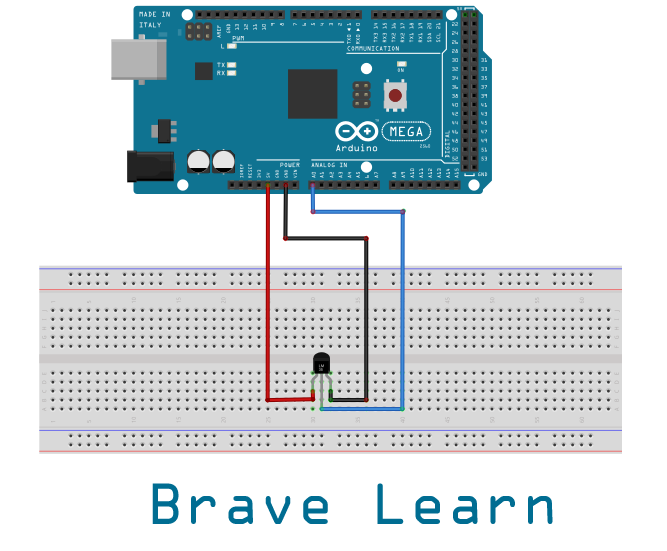 Connect you Arduino with PC (make sure your software is installed) and upload the following code onto Arduino board. Try this simple project and don’t forget to share your reviews in the comments below also share it with your friends. Well, this is a simple project we will show how can we use Ethernet shield with Arduino to read the temperature on the web, mobiles and we will also build WindowsPhone app for this purpose.